"To this day, I don't own a Reichel album! Recs appreciated..."
The Death of The Rare Bird Ymir is the acknowledged pick, coupled with Bonobo Beach on a FMP CD. I can lend you it if you want. As you say, Brian, these days Frith is a figure who a lot of people in improv circles look down their noses at. I don't and have always had a big respect for him (though this may have less to do with his music than the fact that we were in the same political party for several years). In fact musically I've never related to much of his stuff, not really liking any kind of rock or rock-influenced improv. But one exception that you don't mention is the Guitars on the Table Approach double LP from the early 80's. When I listen to it today it feels overdramatic, but I still have a fondness for it and it's worth revisiting now and again if only to see how table-top guitar-playing has developed in the intervening 28 years. 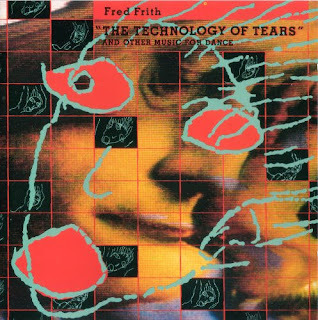 The other double LP on which Frith features that I still listen to is 'Epiphany' by Company (from 1982). 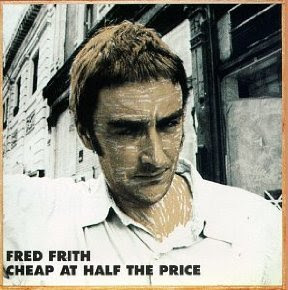 Playing in a context dominated by full-on improvisers, Fred blends in incredibly well and his contributions are excellent. He could have been a really interesting mainstream improviser, but the very varied path he chose instead is pretty unique and as I said I give him a lot of respect even if his music very rarely crosses with my particular tastes. Simon, never heard (or even heard of, I don't think) the Guitars on the Table recording. I think I only have a couple of Company things, maybe '81 and '88 (?) but never really got into them. Wombatz, dunno, I don't really have a problem with the Skeleton Crew vocals, kinda like their harshness and rough edges. Imagining, say, Phil Minton doing them--could have worked. 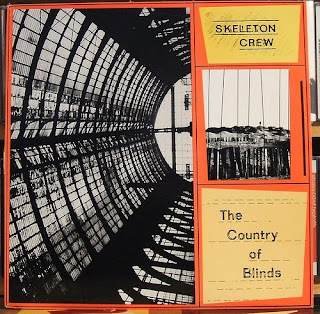 see, i think part of the charm of skeleton crew was their vocals. not a good singer between them but it it just goes along with their style. bashing away playing everything all at the same time. i played the hell out of those 2 albums way back when. Brian, the record Simon refers to is 'Live in japan'. 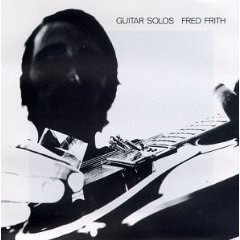 Frith undertook a month long solo 'guitars on the table' tour of Japan July 8th (!) 1981. I have a photo of Fred here talking to the audience at Kid Ailack Hall. If you REALLY would like to hear it I can transfer to CDR from vinyl for you. 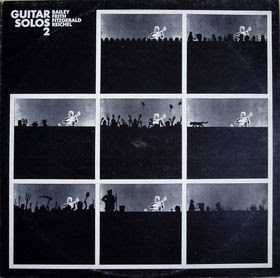 The other record you haven't mentioned is Guitar Solos 3. Alongside Vol 2 these were important records in the UK in mid to late 70's, introducing young rock audiences (like myself) to improvisors such as Bailey, Reichel, AMM and Rowe. 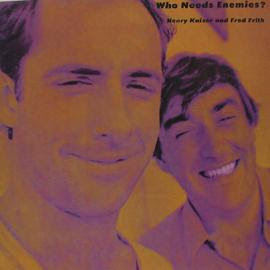 (Keith appears on side one track 4). Also, I'd take up Jon's offer of Death of a Rare Bird, it really is a beatiful album in my estimation, and in 1976 it blew me away. The two Reichel releases Jon references are my favorites, Ymir really blew me away 20 years ago. I came to Reichel around '85 via an FMP series of compilations entitled For Example. There was For Example Solo, For Example Large Ensembles, etc. On Solo Reichel had a 5 minute piece that integrated stuff I was into (Fahey/American Primitive/Travis-esque finger-picking) with stuff I was getting into (improvisation, extended techniques,chopped up guitars). His Dachsophone works are o.k., but I strongly prefer his guitar sound. "I'll live without the Live in Japan for now"
oh one other thing ... i do think Firth is an important figure ... i have seen him live and have heard most of his albums ... he really adds a nice piece to that particular puzzle, the 70's contemporary music scene. 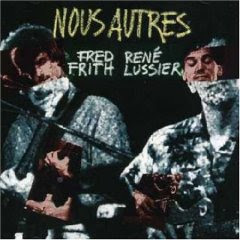 god, i made the mistake of picking up the two-cd reissue of all the frith/kaiser duo a bunch of years back, and god. . . it's like a compendium of irritating element of 80's music-making: cheesy linn drums, terrible white-guy blues covers, and sooooo much wankery. probably for 80 minutes x 2. the early kaiser stuff reissued on dexter's cigar KILLS though. btw, that is/was jesse k just above, and not me earlier. i thought it showed "jkudler," but maybe not. . . They'll differentiate between us by our sensibilities, Jesse (K). ah, you're right! i guess that's the end of that borgesian simulacrum. . . I'll get to Kaiser in good time (though I think most of my stuff of his is on CD). Generally speaking, I enjoy his cover bands and early work, can't stand his improv after, say, the mid 80s, though I recall liking Wireforks, the duo with Bailey very much. As with Frith, I think he gets characterized too simplistically by the eai crowd. Much of the scorn is deserved, to be sure (especially for assholery) but he's a bit more complex than that. I'm not great writing comments - so welcome back from Spain - an odd assortment you've picked or you have of Fred- and I have lost track of Fred until quite recently - recent work worth a check out, the last ten years - middle of the moment quite nice - anyway the other pianist I have playing Satie's work is Jean Yves-Thibaudet. Maybe we could catch a meal in town someday and I could lend it your way. Your trip looked amazing and cause for good reflection. Found out the Saalfelden triple bill I'm on: Vijay Iyer, Us and Ornette. Come check us out on August 25th if you are around. I'll tell you the venue when I know it. Chris, be happy to catch up. We have a new puppy arriving tomorrow (Saturday) so things will be hectic for a while, but drop a line and we'll figure something out.